Is it just me or is April flying right by? 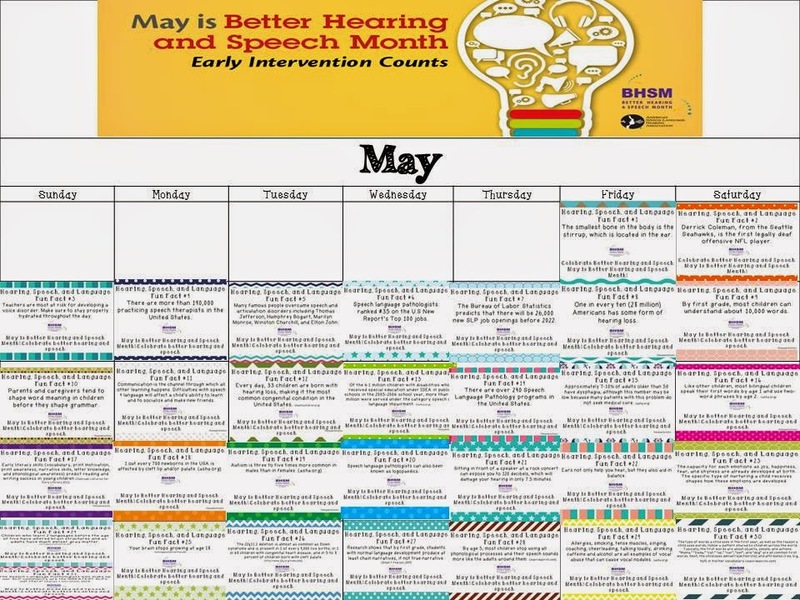 I know as an SLP I am getting excited to see May creep closer on the calendar because May=a month to celebrate better hearing and speech! I don't know about you but I get excited with the thought of being able to spread knowledge about our profession! How many times do people ask you "What do SLPs really do?"? I hear this question on end so I love being able to educate others about the field that I love. What better way to spread knowledge about our field than with a fun Hearing, Speech, and Language Fun Fact a day! How will you be celebrating better hearing and speech month in your room or office? Cookies and Milk Open-Ended No Prep Freebie! SMACK! A Game for Just About Anything! Artic Hidden Object Easter Egg Hunt: Part 2!